Be aware about news, discounts and information! O site da Trapos e Monstros mudou! Infelizmente perdemos nosso domínio .com (sim, há gente de má fé neste mundo...) mas não perdemos a alegria! O novo site é www.traposemonstros.net e está lindo!! Dia das Crianças no Brasil! 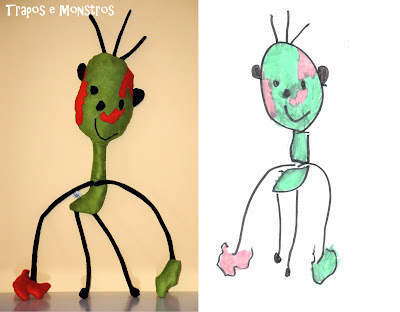 Entregamos muitos bonecos e sorrisos neste Dia das Crianças. 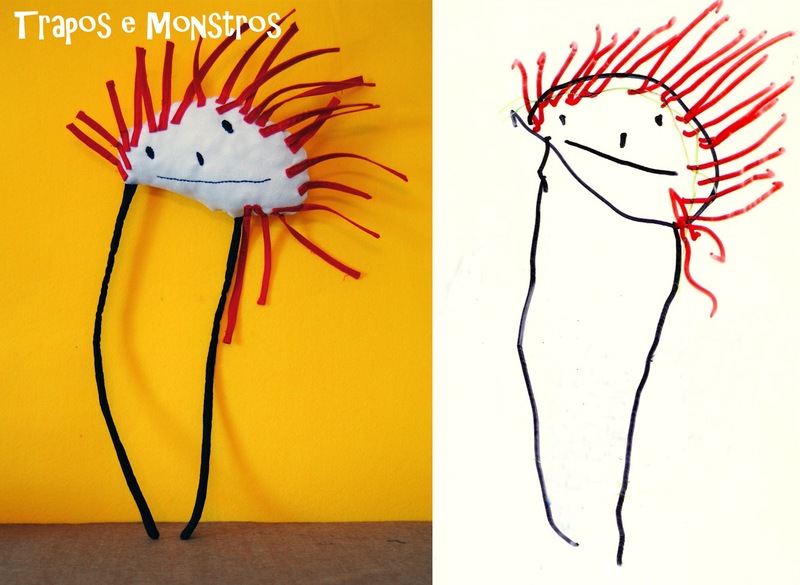 Um desenho mais lindo que o outro! Gabrielas, Joãos, Fernandas e Felipes. Que vocês tenham tido um maravilhoso Dia! 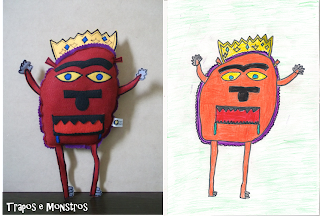 Sofia did this drawing when she was 5 years old, now her newborn son Lenn can play with a softie drawn by his mother when she was just a child! How cool is this story?! Good morning everyone, have a nice day! This softie now lives in Belgium, remember we ship worldwide. 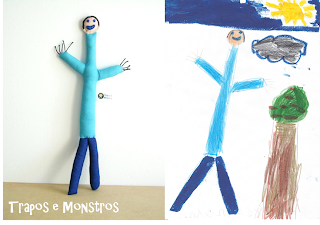 Vaclav is belgium litle boy and in his drawings there is always these characters, how cool they are! 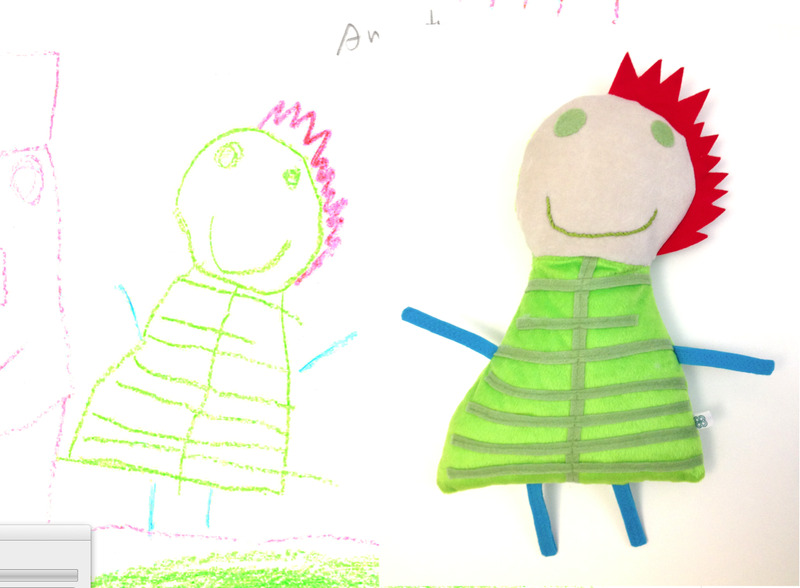 In this drawing he dre himslef and his twin sister Inneke. Well done Vaclav. September has gone in a blink, so many drawings coming and so many softies leaving to their new places, it was a busy month, that's why i couldn't come here as often as i wish to publish all the amazing drawings and softies and their stories. Helena is from UK and studies neuro science, this was her birthday present, a hudge brain cell drawn by her. 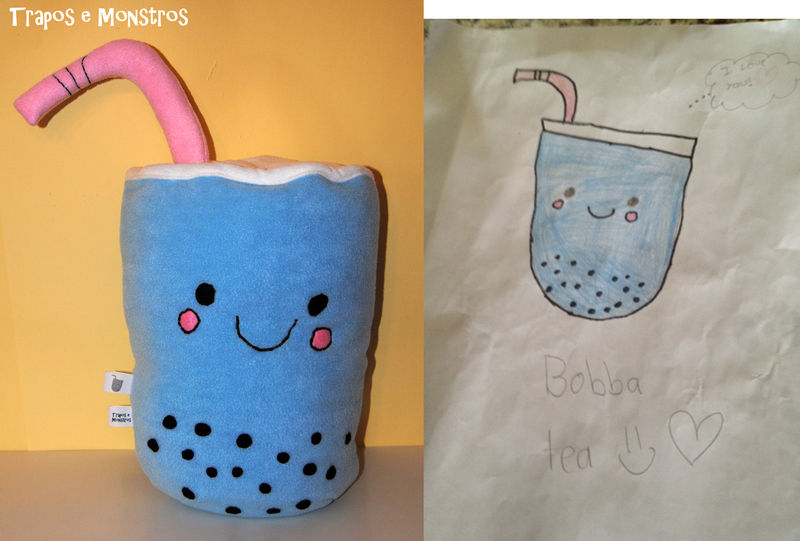 Madison is 10, she's from California in USA, bobba tea is one of her favourite drink's!One daym, when she was drinking she tought that bobba tea would be a cool looking softie. 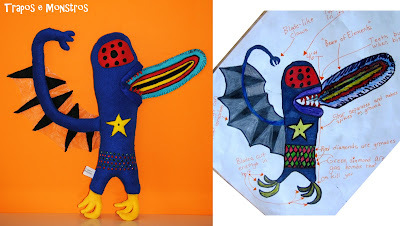 Matie was 10 years olf when he drew Dark Matter Bat 2 years ago. This creature is amazing, take a look at the description and see what he does! Cristina is 15 years old and lives in Romania, she told me that she loves softies and they always put a smile on her face. When she drew this lion, she wanted to make a softie to all family, daddy loves blue and red, mommy loves cats and Cristina loves all kind of smiling softies! Great job Cristina! The above 2 drawings where made by italin kids, and as far as I can see they are very talented. 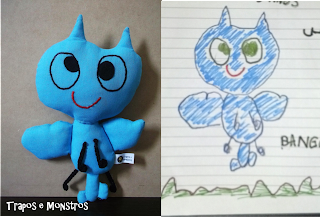 Luca (11 year old) drew the orange monster and Martina (10 year old) drew the yello/blue dragon! This beautifull unicorn his on his way to Israel to join Ella on her 7th birthday party!!! Have a safe trip sweet unicorn and give Ella a big happy birthday kiss and hug. 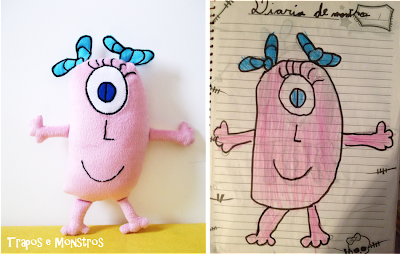 Alea is 10 years old and is from Italy, this summer she has caught a real octopus, she was so excited and drew her own octoopus. This drawing really needed to come to life! 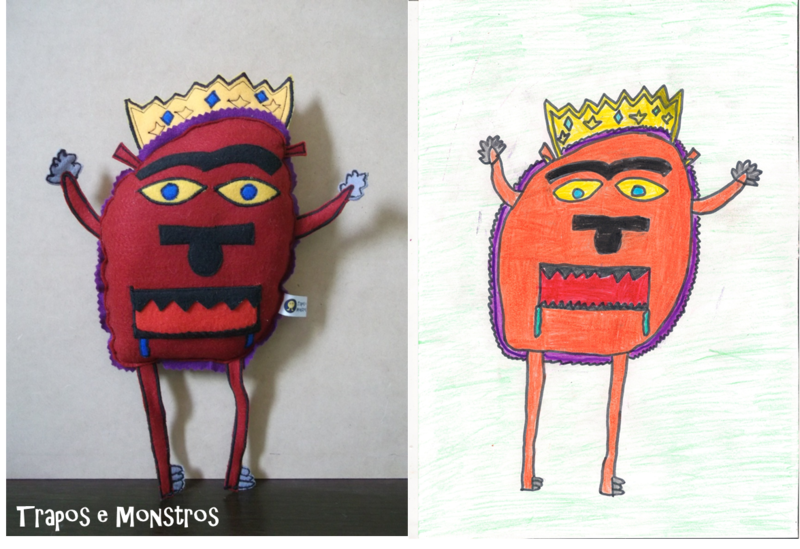 In the past few days we have been receiving lots of new drawings from all over the world, that is so great! I love all the drawings and their storys. 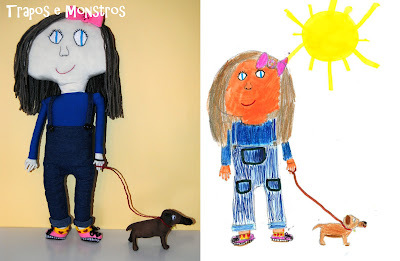 Hurry up get on the line, send us your drawings. These 2 softies where made a couple of months ago, they where kept waiting for baby Finn to be born. Baby Finn has been born and believe me he is so beautifull, he has been treated as a prince just like he is. By this time you must be thinking that these 2 softies where a gift to baby Finn, you are right. 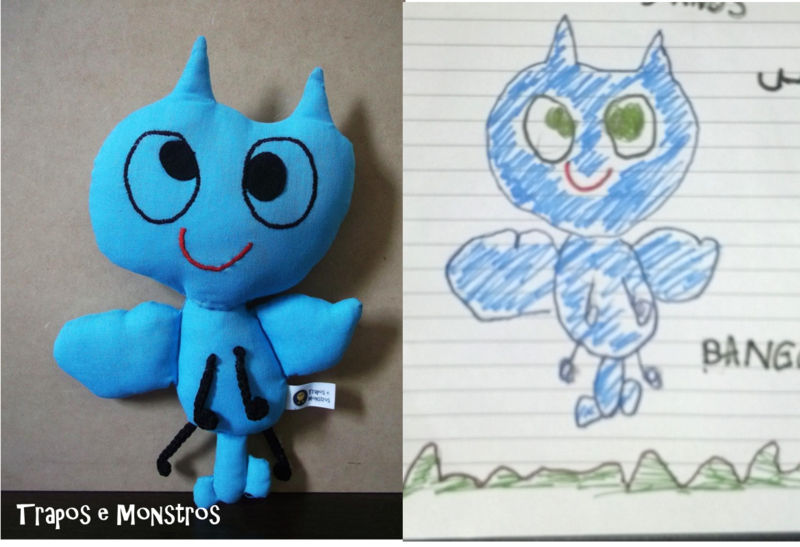 These 2 softies where a special gift to baby Finn from his pround grandparents, and now guess who drew the drawings? Baby Finn mother! 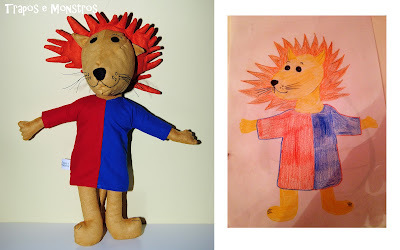 She was 3 years old, when she drew the first drawing. The second drawing is the grandfather made from the story "Peter and the Wolf", she drew it on June 6th 1989, when she was 4 years old. Ficamos muuuuito felizes quando abrimos a revista Pais & Filhos Casa e nos deparamos com o que, o que, o que??? As fotos dos nossos bonecos!! Obrigada Pais & Filhos pela grata surpresa, além do reconhecimento e divulgação do nosso trabalho. A revista andou por aí, de mão em mão, porque mostramos para todos. Tanto que ela até se perdeu (ou alguém roubou ;)). Então compramos mais um exemplar e cá estamos nós com a foto. Ainda está nas bancas, e está linda! Aproveitem para ler a revista todinha! 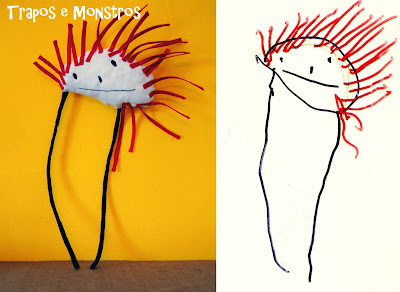 Todo monstro poderia ser lindo assim, não é mesmo? 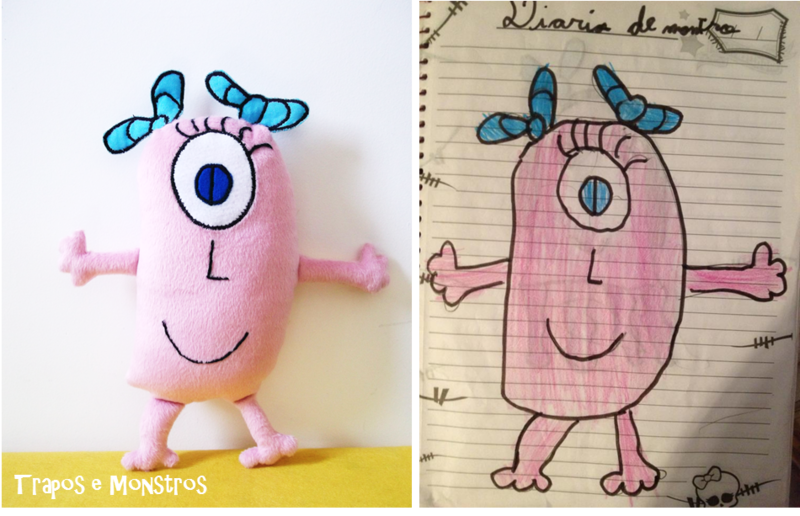 Luanna, de 9 anos, vai ganhar seu monstro rosa da tia dela, a Karina, uma querida amiga aqui da Trapos e Monstros. we bring childrens drawings into life! 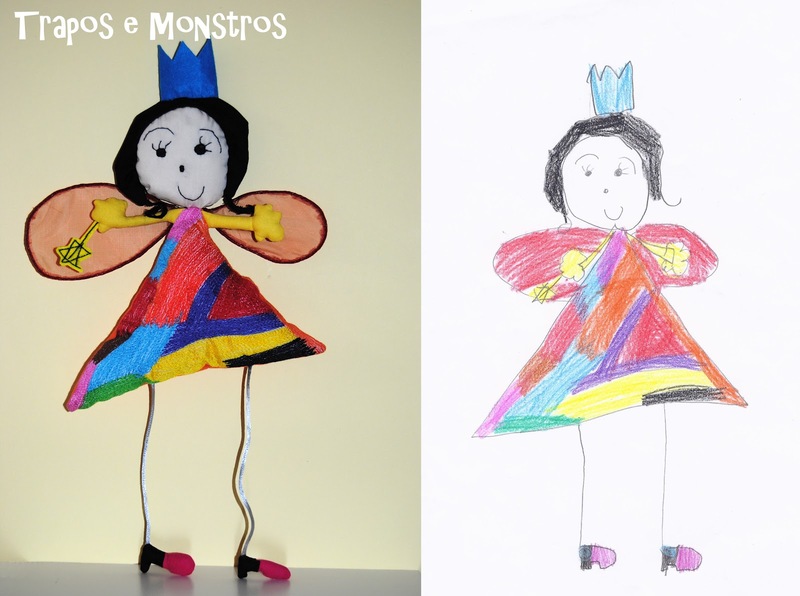 No atelier da Trapos e Monstros os desenhos das crianças ganham vida e magia.